One of the two teams the Celtics (35-21) are chasing in the race for the Atlantic Division title will host Boston on Tuesday. And the Celtics will be without Kyrie Irving when they visit the Philadelphia 76ers (36-20), who are listed as 5.5-point home favorites on the NBA odds at sportsbooks monitored by OddsShark.com behind a dangerous new lineup. The 76ers have looked awesome since acquiring swingman Tobias Harris from the Los Angeles Clippers before the trade deadline. They routing the L.A. Lakers 143-120 in their latest victory as seven-point home favorites on Sunday. They improved to 2-0 straight up and against the spread with Harris in the lineup, also defeating the Denver Nuggets 117-110 Friday night as 6.5-point home favorites in his debut with the team. While Philadelphia now might have the best starting five in the Eastern Conference, Boston will continue to rely on its outstanding depth to keep pace. The Celtics are coming off a 123-112 loss to the Los Angeles Clippers on Saturday after falling to the Lakers two days earlier 129-128 on a game-winning shot from former C's point guard Rajon Rondo. Irving, their current point guard, also suffered a knee injury in the second quarter against the Clippers. Boston has failed to cover the spread in three consecutive games, according to the OddsShark NBA Database. This is just the second time in 2019 that the team is an underdog. The Celtics dropped a 115-111 decision to the defending champion Golden State Warriors as 3.5-point home dogs on Jan. 26 and had not been in that role since Dec. 21, when the Milwaukee Bucks defeated them 120-107 as 1.5-point road favorites at TD Garden. In fact, they are only 2-9 SU and ATS in their last 11 games as underdogs. Philadelphia will be looking to break a three-game series skid against Boston both SU and ATS after winning just three of the past 23 meetings dating to 2014. 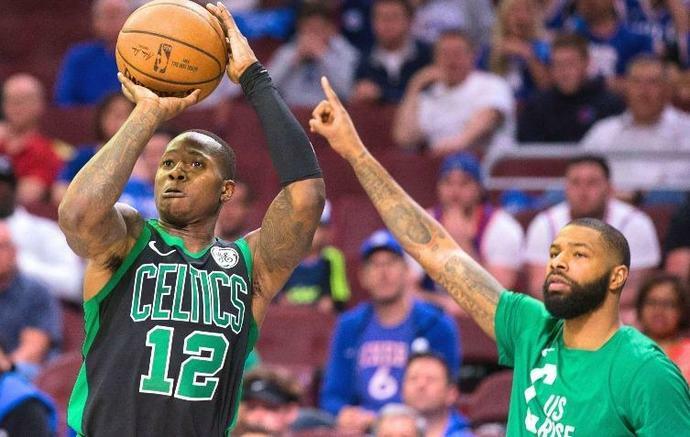 The lone loss for the Celtics in the past seven games between the teams came in their last visit to the Wells Fargo Center in the 2018 playoffs. The 76ers avoided a sweep with a 103-92 home victory in Game 4 and covered the spread as seven-point favorites at online betting sites before losing Game 5. Kodak Black is currently behind bars after getting busted while traveling into the U.S. to try and make a scheduled show in Boston. The Niagara County Jail confirms Kodak is still in custody on a $20,000/$40,000 cash bond on charges of criminal possession of a weapon and unlawful possession of marijuana. Kodak was taken into […] The post Kodak Black Arrested for Possession of Marijuana, Glock 9mm While Crossing Border from Canada into U.S. appeared first on The Blast. Having been made to wait for his playoff debut with the Boston Celtics, Kyrie Irving is enjoying the series against the Indiana Pacers. Kyrie Irving is a different kind of cat. But, we already knew that from the "the earth is flat" BS from a couple years ago, among other things. What we didn't know is that Irving was just angry after he drained the Game 7 game-winner in the 2016 NBA Finals, winning Cleveland an NBA title and himself a ring.